Rolling up with WEATHER GUARD® Professional Truck Boxes in your vehicle commands instant respect. You’re a serious professional and you want the world to know it. Fortunately, we offer many ways for you to express your credibility. Your choices will depend on how you work and how much free space you need in your truck bed. 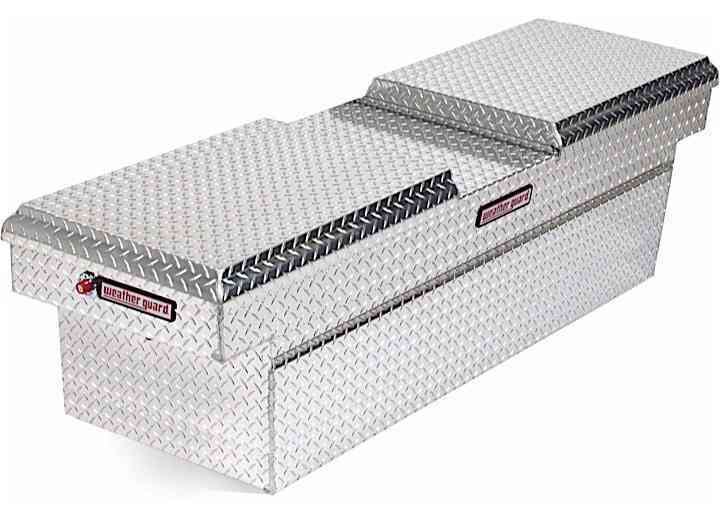 WEATHER GUARD® Professional Truck Boxes cover all the bases, from the classic, rugged Saddle Box to the Cross Box, Pork Chop Box and space-saving Lo-Side and Hi-Side Boxes, WEATHER GUARD® Professional Truck Equipment means business.